We are a marketing solutions provider. We assist brands and organizations in the ideation, design, negotiation and implementation of innovative and enduring marketing platforms. We provide our partners with the inspiration and support needed to pursue big ideas and help them realize their full potential. 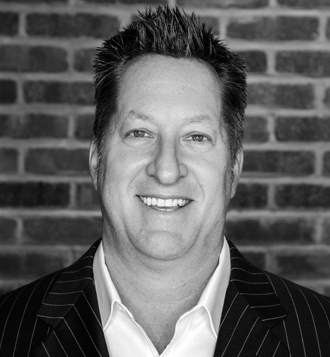 A marketing executive with 25+ years of experience in developing and implementing integrated marketing, consulting and business development platforms in the sports, media and entertainment industries, Eric Bechtel launched IdeaQuest LLC in September 2001. Known for his extensive industry relationships, Bechtel has assisted Fortune 500 brands, professional athletes, entertainers, broadcast talent, media companies, leagues and team properties navigate the sports, entertainment, media and technology industries. Over his career, Bechtel has partnered with some of the world’s most respected brands and created marketing solutions actualized in national advertising campaigns, naming rights deals, property sponsorships and endorsements with clients including but not limited to American Family Insurance, Johnson Controls, 24 Hour Fitness, Ask.com, Burger King, Heineken USA, L’Oreal’s Drakkar Noir, World Wrestling Entertainment, Bellator, Dale Earnhardt Inc. and Dale Earnhardt Jr., Rory McIlroy and Steve Young. Bechtel is also recognized for his long-standing expertise in assisting early-stage and emerging technology brands penetrate the sports, entertainment and media industries, with recent partners including Chegg, Conviva, Demand Media, Fantex, SAS, Sportscastr and XOS Digital. Prior to IdeaQuest, Bechtel joined Integrated Sports International (ISI) in 1994. At ISI, he was an integral member of the team that sold stadium naming rights to 3Com Park for the San Francisco 49ers, Ericsson Stadium for the Carolina Panthers and Comcast Center for the University of Maryland. Bechtel was directly responsible for securing Burger King as ISI’s first-ever corporate consulting client and handled off-field marketing for Pro Football Hall of Famer Steve Young. After their sale to SFX Entertainment in 1999, Bechtel supervised SFX Sports Group’s sales division that included 17 global offices. Bechtel started his career at TitanSports Inc. / World Wrestling Federation where he was a member of the executive team that led the company’s initial international expansion into both Europe and Asia. His vision and sales acumen led to the WWF’s historic title sponsorship of SummerSlam with Domino’s Pizza, which was a pay-per-view industry first. Bechtel was born in Cleveland, OH and later raised in Weston, CT. He attended the University of Connecticut where he received his B.S. in Actuarial Science and also played football. After graduating from UConn, Bechtel earned his Masters in Sports Management from Ohio University. Today, he resides in New Jersey with his family. Will This Startup Change How We Watch Sports? The world of sports marketing is alluring and packed with real business opportunity. However, it’s also very complex and full of pitfalls where you can easily make really big mistakes. As CMO of a Fortune 100 company, when our organization decided to make strategic investments in sports marketing, I knew we needed help to navigate these waters. We found the perfect partner for this journey with IdeaQuest. From the beginning, Eric Bechtel and the entire IdeaQuest team fully committed to building a strategic relationship with our company. Their approach was well aligned to our own culture of having immediate impact and delivering near-term results with an eye toward an ambitious long-term vision. They became a part of our team, invested time to learn our business and helped design strategies to address our objectives around brand, market awareness, relevance and growth. Their contributions spanned all aspects of our sports marketing efforts from planning and design through deal-making and execution. The IdeaQuest team quickly earned my trust and respect, and they continue to raise the bar every day. Their expertise is unique, talent immense, relationships remarkable and characters impeccable. These are some of my favorite people. Working with them has been one of the highlights of my professional career. Eric is strategic, solid leader with a creative eye that focuses on framing brand identities and creating marketing solutions. His platform of treating clients with respect, transparency and honesty weaves seamlessly into his approach for developing and launching projects and embracing challenges. As an innovative professional, his success has been fueled and driven by his passion for what he does, the people he does it for and for the people who work alongside of him.